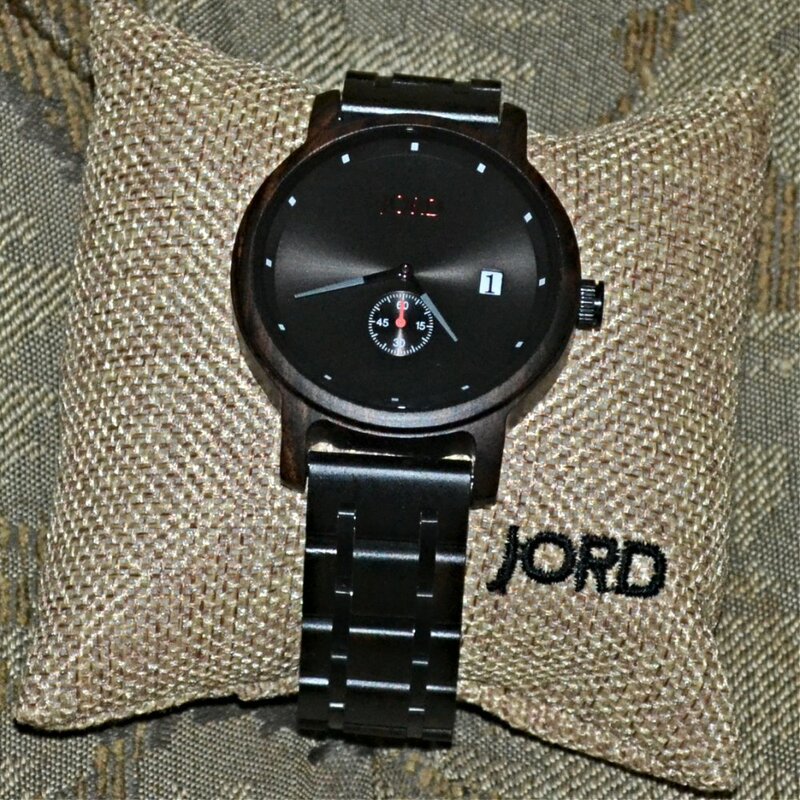 Recently, I was approached with the opportunity to receive a JORD watch for the purpose of an unbiased review and I was ecstatic. All my reviews are unbiased anyway, so getting a watch I've always wanted was a big deal. But, was it worth the wait? Disclaimer: This review is my own honest opinion of this product. There were so many beautiful and unique wood watches to choose from, selecting the right watch for me took more thought than I imagined. 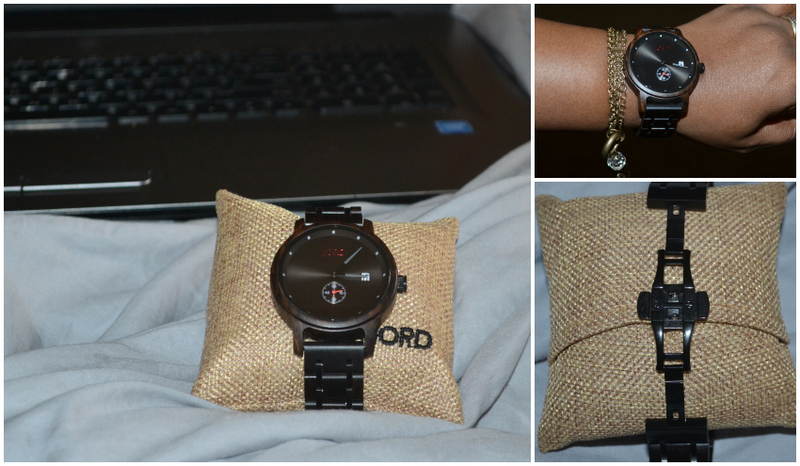 But, since I already have a nice collection of feminine watches, it was time to go for what I really wanted. Which led me to the men's section. I prefer men's watches because of the wider band and features, and would occasionally wear one of my husband's. Although I was drawn to the walnut colors and chronological designs, the HYDE|Ebony & Iron style was calling my name! I really liked the large case and the width of the band. I also liked the dark red logo, seconds dial and small date display. What stood out most were the short hour marks. It left a lot of blank area on the watch, giving it a minimalist appearance. While waiting for my watch to arrive, I decided to visit the JORD website to learn more. One of the first things I learned, was the correct pronunciation. I have called them "J-or-d" watches, the way it's spelt, but it's actually pronounced Yode. JORD ("Yode") is a company based in St Louis. The wood used for the watch I selected is 100% natural Ebony wood, sustainably sourced from East Africa. Also, they do not use toxic chemicals to treat their wood. Most watch backplates can be engraved ! All Cedar humidor presentation boxes are engravable! The watches may be sized. Would I recommend it? Absolutely! On screen, they can have a bulky appearance, but it doesn't feel bulky on my wrist. I can't speak on the life expectancy, because I've only had this watch for a month now. But when it comes to the quality, the feel, and the look, it's incomparable. As I mentioned previously, my other wood watches were more wood parts than wood watch. They were incredibly lightweight, which to me was a reflection of their wood quality. The JORD is not lightweight, although it's not terribly weighty either. It's what I would want from a quality watch. Keep away from water. The HYDE watch is splash proof, ot water proof. Also, be sure to double check that your buckle is securely fastened. My watch band unfastened while I was moving around. 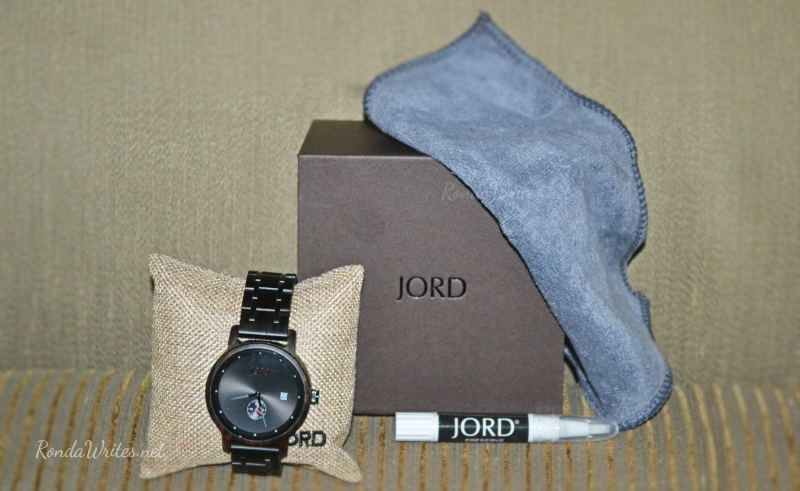 Want a JORD watch of your own? Well, JORD is offering a huge discount code to one of my visitors! Everybody who enters will receive a 10% off discount code, while one lucky winner will receive a discount code for $100. WINNER SELECTED! Congratulations Nancy L.
Disclaimer: The winner will receive a $100 gift code toward the purchase of any watch in our collection! The winner will be emailed in a month (after the contest has concluded), provided all deliverables have been met. If you would like to discuss the time frame, please let me know!